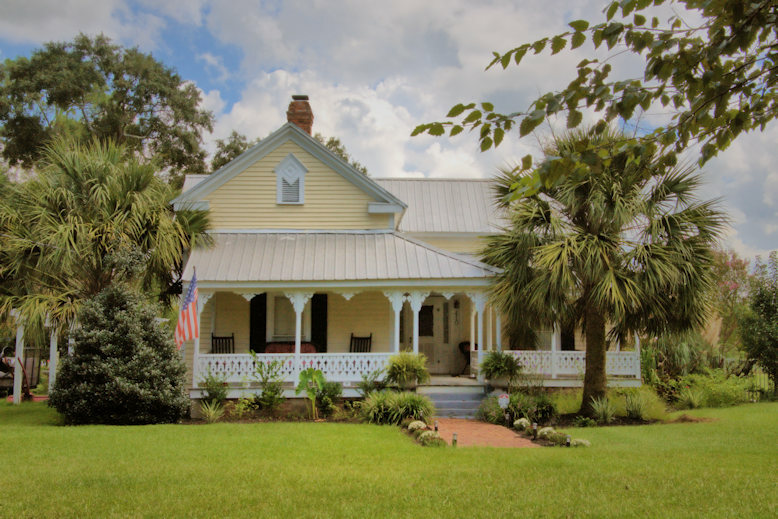 Intact historic farms survive only through the care of generations of families; the Mitchell J. Green plantation in Evans County is an excellent example. 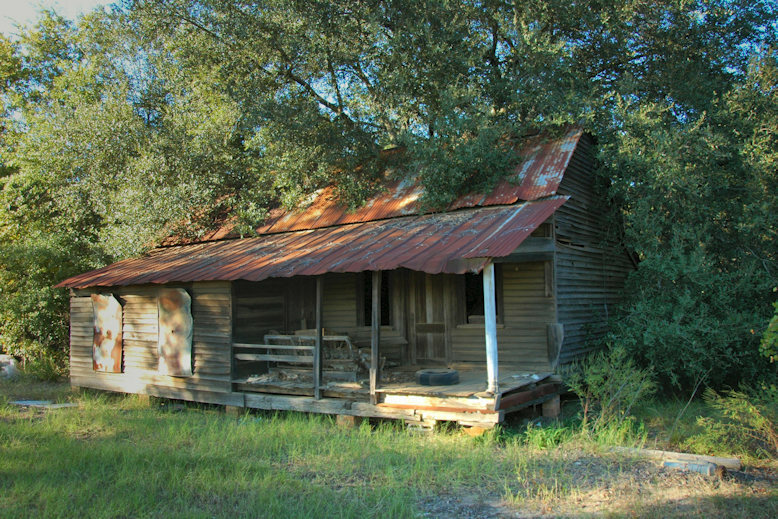 In 1868, after service in the Confederacy, Mr. Green built a log cabin on the property and commenced farming. 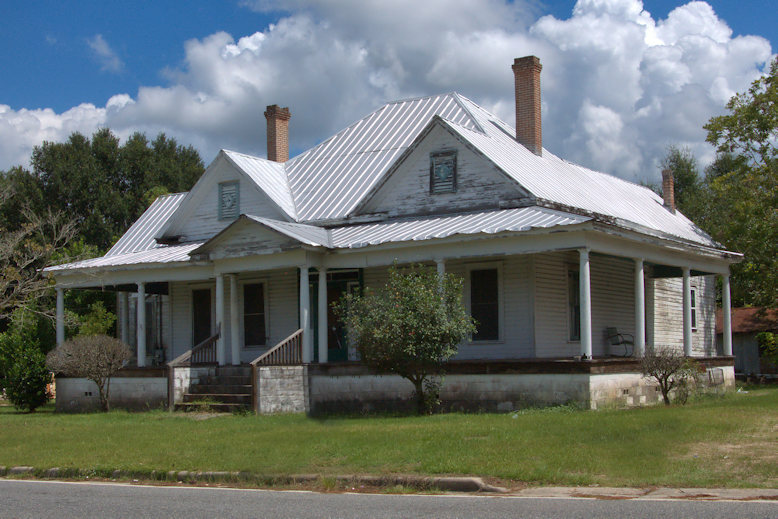 The thriving operation became the center of a small community known as Green and had its own post office from 1882-1904. 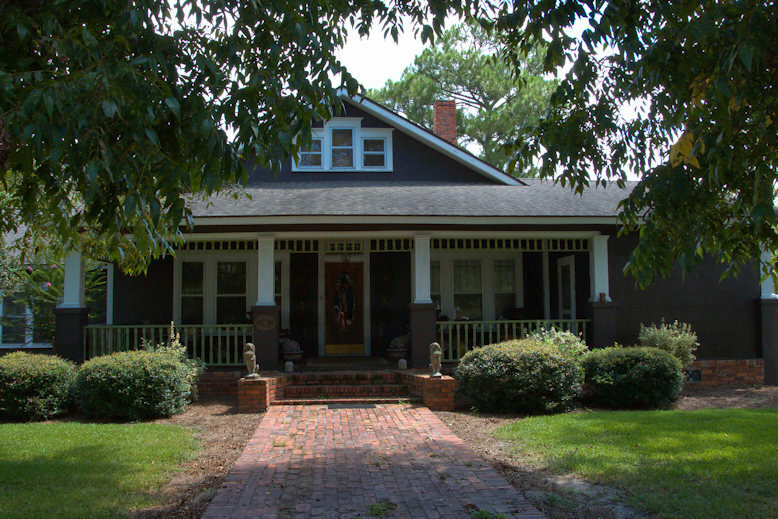 Mr. Green served as postmaster. 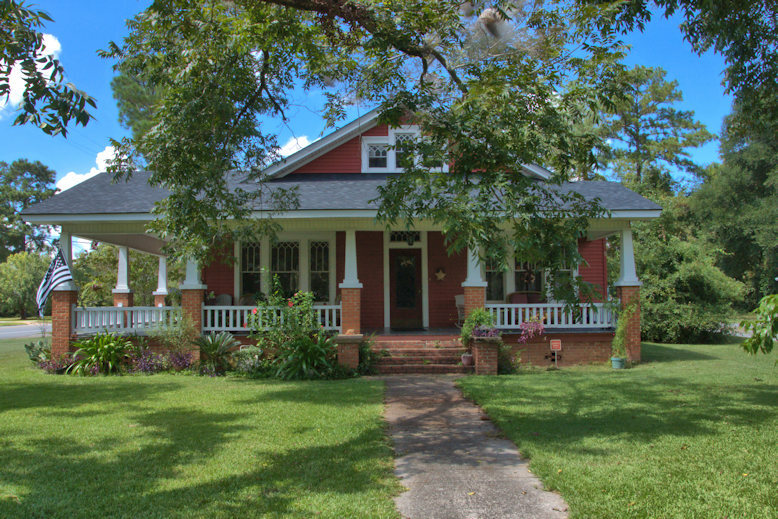 A Plantation Plain farmhouse with Victorian accents, built in 1878, anchors the property. Numerous dependencies remain. 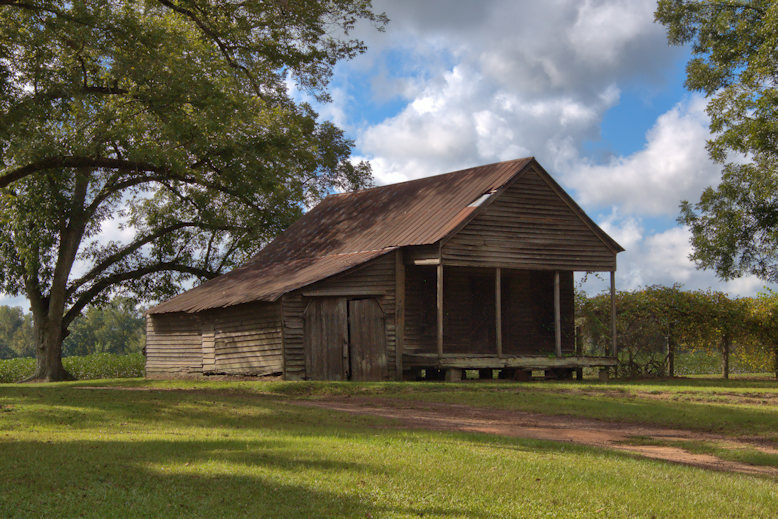 Commissaries are iconic components of Georgia’s plantations and many remained in use on larger farms until World War II. The Green Commissary appears to be in excellent condition; the shed protrusion is likely a later addition. 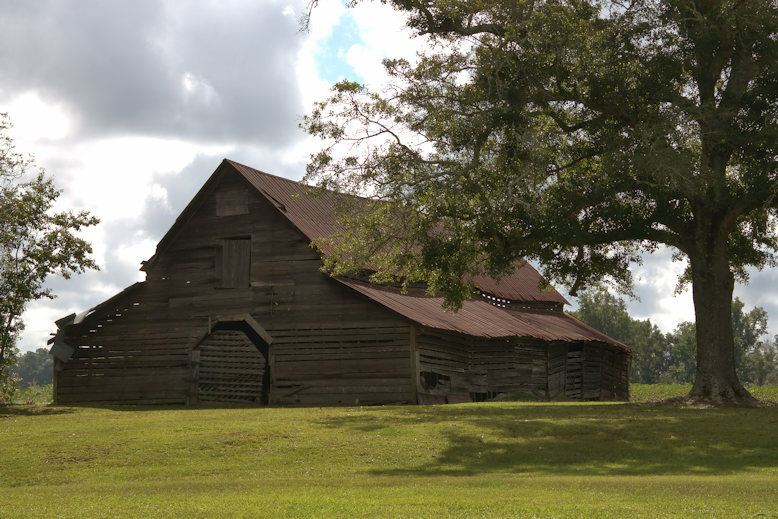 The stock/hay barn is the largest outbuilding on the property. 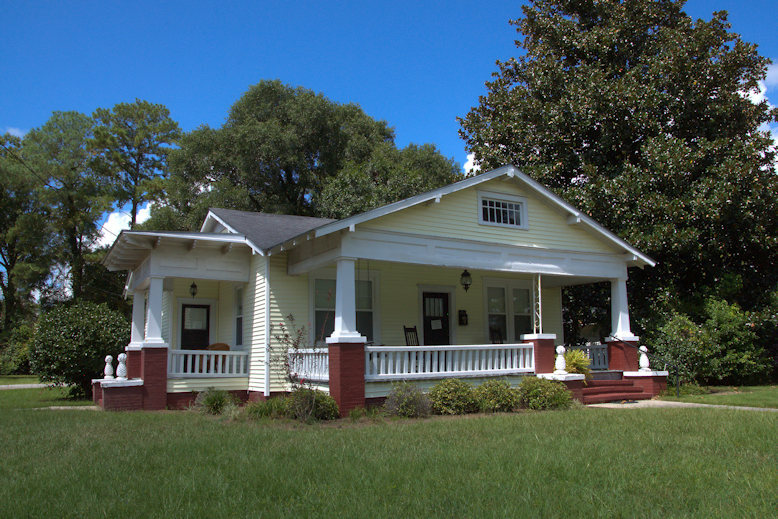 This home was built by Gilliard Roberts, an early African-American entrepreneur who had businesses in Savannah and Claxton. 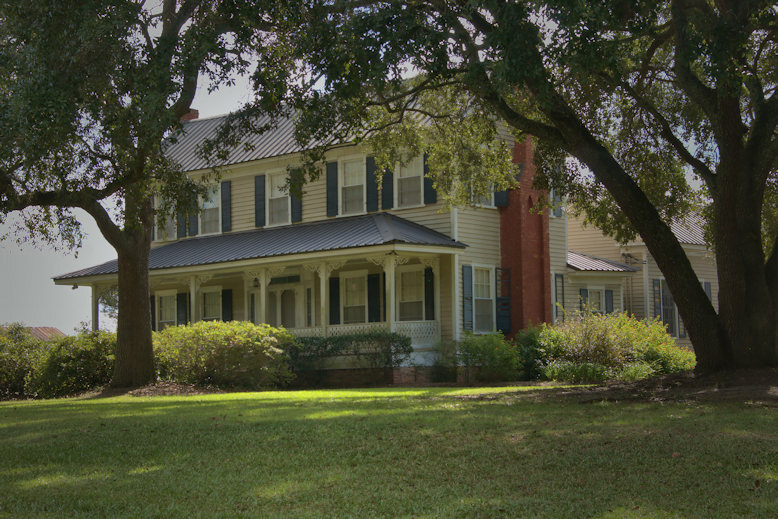 It was later owned by Walter & Mattie Scott, Julius Caesar Banks, and served as a boarding house and apartment house for teachers.